Supastar J. Kwik! is a Philadelphia native who has moved toTallahassee, the little city with a big name in an effort to live upto his moniker. And he has wasted no time rising through the ranks to spin at the crown jewel club of the capital city, The Moon. 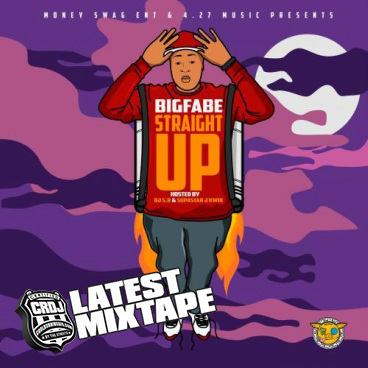 Whilethere, he has used the platform to break now nationally known actssuch as Young Jeezy, Mike Jones, Paul Wall, Slim Thug, T-Pain, Lil Boosie, Lil Webbie, Chalie Boy, Roscoe Dash, Gucci Mane and so manymore. Just because he resides in Tallahassee doesn’t mean his sphere ofinfluence is limited. He has gigged during major events such as the NFL’s Super Bowl, the NBA’s All-Star Game, and completed the 42 citySeagram’s Gin Tour with Tela. He's also been host for the VibeMagazine "Vibe Yardfest" HBCU Tour, plus he’s been the house DJ for concerts that featured 50 Cent, The Game, Sean Paul, Young Bloodz, R.Kelly, Fat Joe, and the Official T-Pain album release party. Not tomention, sports stars such as Clinton Portis, Edgerrin James, Assante Samuel, Marcus Stroud, Jerome Bettis, Magic Johnson, Alicia Keys,Timbaland, and others have been a witness to the detonation of thisPhilly Dynamite. 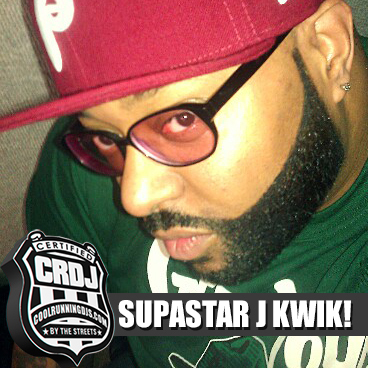 His works have not gone unnoticed as Supastar J. Kwik!™ has made appearances on MTV 2, VH1, and BET’s Mad Sports.He is also an international DJ. He recently gigged in the Cayman Islands,for the Cayman Comedy Fest in Grand Cayman, in which the Prime Minister was in attendance. As Gucci Mane's Official Tour DJ, touring as many as 20 days a month,Supastar J. Kwik!™ is credited with resurrecting Gucci Mane's careerand making him a household name with his mixtape productions - "No Pad, No Pencil", "Guap-A-Holics", "Trap-Tacular", "So Icey Boy" (Disc1) and "So Icey Boy" (Disc 2). Currently, you can hear Supastar J. Kwik!™ spin during the "The Takeover Mix" Monday through Thursday from 9pm-10pm and "Welcome ToThe J. Kwik!™ Show" 7pm-10pm on Friday night's broadcast on Blazin102.3 "The Takova" (www.blazin1023.com). He also spins M-F in the "Noon Mix" on WLYX 96.7 FM (www.wlyx967.com) His radio show is currently #1 in itstime slot. He is also the 2009 the "Duval Diamond Awards" "Club DJ Of The Year" as well as the 2010 Indie Mixtape DJ Of The Year. Supastar J. Kwik!™is the President of the Cool Runnings DJ's and assistant to the CEO ofCool Runnings, Bigga Rankin who is also VP/Head A&R at Young Jeezy's CTE Records in conjunction with Def Jam Records. If you want to read more about the Supastar, click http://www.ozonemag.com/jan2006/600/pg-26.jpg to read his feature in the Dec ‘05/Jan ’06 edition of Ozone Magazine. In The 2007 OzoneMagazine he was nominated as "Best Club DJ"
This Supastar is on the fast track to become a super nova. Witness J. Kwik! through dark tints, because his future is bright.